"Open Hearts. Open Minds. Open Doors." 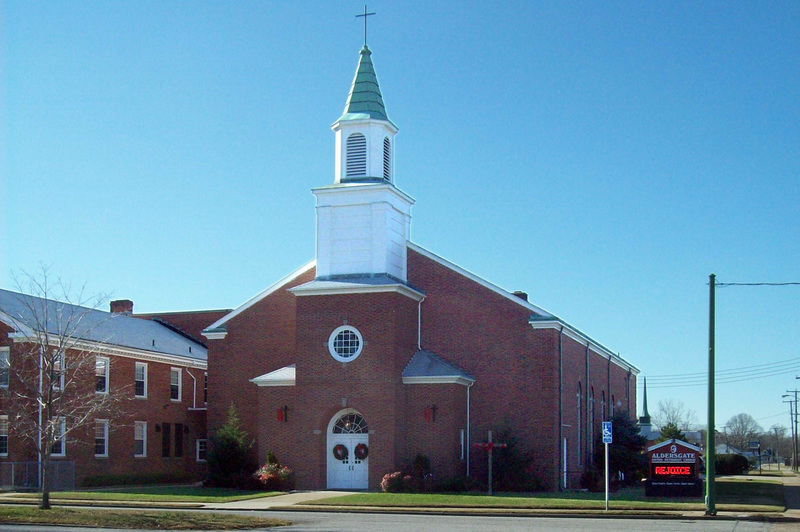 The mission of Aldersgate United Methodist Church is to be a Christian family which provides opportunities of growth through Christian love. We work to be ambassadors and communicators of our faith by serving the local and world community. This sort of realistic painting, showing a triumphant Christ, is disparaged by the Art cognoscenti. Despite this it is very popular, and in fact Simon Dewey is one of the most visible religious artists of the late 20th century. Christ is risen; he is the Savior. The stone is rolled away, and darkness and death are behind him. Don't miss the October 2016 steeple painting slide show on the Gallery Page.